Some people love running outdoors. Others love the security of staying indoors, in a familiar place, and fitting in a workout whenever they possibly can. There are plenty of fitness enthusiasts who try to combine both methods. 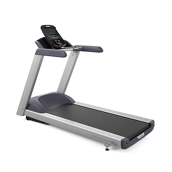 No matter what you prefer, the purchase of a treadmill is a major decision you really can’t take lightly. With so much changing technology, it’s easy to get confused. So which treadmills do we think are the best this year?